The Pixel Pintura Workshops have been conducted since 2003. It first started solely with the Digital Coloring Pro Workshop. Digital Coloring Basics and Digital Painting Basics followed afterwards. Pixel Pintura’s first ever student was a pretty lady named Rachel Cheung from the Immaculate Conception Academy. (Back then Pixel Pintura was just called the Digital Coloring Workshop.) Since her, I’ve had the pleasure of teaching roughly 6 students or professionals a year. 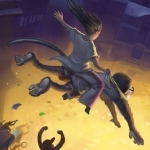 This page is where you can read comments from some of the Pixel Pintura graduates. They can tell you themselves what they think about the workshop(s) they took and how their learning experience went. mahusay magkulay yang si joel sa computer. I enjoyed Joel Chua’s workshop. The one on one and pair methods really means you get a lot of attention from him and he can comment about details like your strokes and other nuisances. 🙂 really really helpful! Taking classes from a person as skilled as Joel was quite the experience. Definitely changed my perspective on the way I see color – from the monitor to print. He’s been doing this a long time so go ahead ask him a question, a stupid one even, or his personal criticism. I’m sure he’s ready to share his honest opinion. Sir Joel’s workshop is interesting. It challenges and makes me think of different perspectives to come out with good looking art. Every time we end a workshop I have this strange addiction to the art I’m working on and would want to perfect it as much as I can. His critic is valuable too if you really want to have a good and honest opinion about your art and how to improve. Joel Chua’s workshop really helped me with the way I do my illustrations. I used to have a hard time with colors that I often omit them. But now I tend to favor digital painting over sketching. Its because of sensei’s workshop that I learned the basics of coloring digitally, specially with my work right now. i think what i liked most about the workshops whether it be digital coloring or painting was the invaluable color lesson. it seems so easy to just randomly pick out colors from the color picker but seriously, half the time i pick out the wrong colors to use. after the workshops though i got a better understanding in choosing colors and setting the best palette to work with. His critique is great too! it’s especially helpful to people like me who just learn from books and have nearly zero formal training in art.It had me work on my weakpoints (still working on them though hahaha) which i didn’t even know were my weaknesses before. oh the lessons he teaches are useful for photoshop beginners. this workshop is great for those who wants to get a good “kick-off” knowledge on how to handle photoshop. i was already versed in photoshop when i enrolled with joel, but i learned a lot of techniques to make working more efficient…. Joel is one of the fastest and most talented colorists I know. I was able to assemble a very nice portfolio after taking his lessons, and got into advertising even though I had zero experience in graphic arts. Now I work for a web design company and I still use all the Photoshop techniques that I learned from Joel. Grade A stuff! I don’t think there is any class in any university out there that gives as much insight and techniques in digital painting and coloring than this. You learn all you expect to learn without the usual classroom drama (like professors lecturing students for being late, for being noisy, for sleeping in class. Since its one on one you don’t have to worry about that.) Every minute is well spent. Ang dami kong natutunan na Photoshop shortcuts that I never use. Nag-improve din ang digital painting techniques ko. Thanks Joel! Just when you thought you knew a lot about Photoshop, think again. Because in SIr Joel’s workshop, you will learn everything you didn’t know, plus techniques that will make your art look reeaally good. He’ll teach you everything you’ll ever need, in the quickest and most efficient way. And you WILL improve. A LOT. JoelChua’s workshop was the best workshop I had took… What I like most is the way he critique and the way he teaches the techniques..
he is a very strict teacher(especially in terms of lighting) LOL! Oh well… Learning from him was Great! Pixel Pintura, is one of the best and most promising workshops that I would recommend everyone to attend. It will open doors for you, and unleash the real artist within. Joel’s critiques both challenges and inspires you to become better with your art. Definetely you’ll get your money’s worth and so much more. Thanks so much Sir Joel, hope to get to work with you and do a collaboration sometime in the future…. If you’re interested in improving your skills as an artist, Joel Chua’s Pixel Pintura Workshop is your calling. I’ve taken his Digital Coloring Pro and was a bang for my buck! He’s a great teacher, with an uncanny eye for color, design and art. While you are working, he’ll critic and give thoughtful suggestions to your piece. The one-on-one experience will push you to the limits of your abilities as an artist. And overall, he’s a great guy and easy to get along with! Let Pixel Pintura add to your selection of artistic education. Pixel Pintura is really worth it workshop 🙂 I enjoyed learning from Joel Chua, he is a great mentor 🙂 When I entered the workshop, I am surprised that there are so many things I don’t know, thankfully I enrolled in the workshop 😀 well I’m hoping to enroll on the other course after my thesis :)). If only every art class you take was fashioned on PIXEL PINTURA’s style. Convenient. Accommodating. Up-close-and-personal. Every session i went through broke down any barriers of doubt i had with myself. The encouragement you gain after each lesson leaves you with the impression that you can accomplish more on that next piece of art. 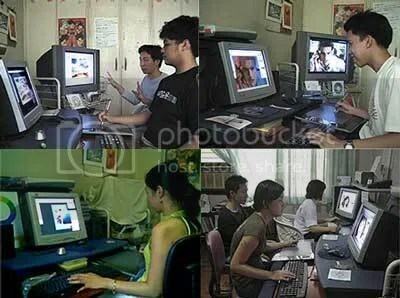 sana po mgakaroon cia ng tym para mag teach sa provinces like laguna kasi gaya ko na computer course graduate na gustong matuto bout digital painting e maturuan nya,, hope mangyari poh kac eager talaga me mag aral. My experience with pixelpintura was great. I learned a lot of useful things, things I didn’t learn from my art school. Every session is worth it. Besides the things you learn from the workshop you also get a lot of useful resource materials and a lot of questions answered. Sir Joel is an excellent mentor and the workshop is a really great start for novice artists who want to take their skills to a professional level. I learned a lot of things in the workshop. When I joined, I realized that there were so much more to learn in photoshop. I learned many things like some coloring effects, techniques, and more. It also helped me on choosing colors wisely. Plus, I learned better methods of coloring, unlike how I used to color before. Before the training, i only wanted to learn to color digitally. I was surprised, i also learned to edit any image in Photoshop. Pixel Pintura is the best training center to go if you are an aspiring digital artist. You’ll surely learn here. Marami akong natutuhan dito sa workshop. Mas nag-improve ang pagkulay ko. Mas napaghusay ko pa ang pagtimpla ng iba’t ibang kulay. At tsaka ‘yung mga hindi naituro sa akin sa kolehiyo ay itinuturo dito. Joel didn’t teach me everything I know, but he did teach me everything I needed to know. I came in with only the vaguest idea of Photoshop and digital coloring and came out armed with enough knowledge and skill to continuously make myself a better artist. salamat digital sensei! learned a whole bunch of stuff i never knew about. i thought kaya ng digital tutorials lang, boy was i wrong. thanks for teaching me about my weak points (hehe edge hogging), lights and the most important parts of character designing. any chance i get i always promote your school. joel is one of the best teachers i have encountered. his talent and skill at digital rendering is amazing and his generous patience to share and teach what he knows to his students sets his classes far above the rest. he is very hands on when he teaches, and excels in one-on-one tutorial set up. with his extensive syllabus, his classes give students the best value for their buck. I learned a lot from this workshop! sir joel helped me understand everything there is about digital arts that i needed to know. I compared my works before and after i took the class and there was a really reallly big difference. I improved a lot. plus,. i learned a lot of new things about photoshop that i didn’t learn in school. so it’s a bonus for me. this class is the best i’ve taken so far. Sir joel is a great mentor/artist because he is not the one who makes a faithful attempt to put on to canvas what is in front of him, but one who tries to create something which is, in itself. I’m very happy to enroll at Sir Joel Chua’s Pixel Pintura. His digital coloring/painting tutorials are straight-to-the-point. He’ll teach you what you really need aside from what you want. After I took his Digital Coloring program, I became more confident with my artworks. Sir Joel’s one-on-one mentoring is what I say, very effective. He will focus on you and assess what you have right now, pinpoint your weaknesses and teach you how to overcome it. His demonstrations are amazing! Also, he will teach what you see and let you practice it on his hands-on activities. I learned a lot with his Digital Coloring Pro. In the future, I’m also planning on getting another course for Digital Painting. Having a calculator during a math test becomes an advantage if and only if you are able to use it fully and properly. In much the same way, programs like Photoshop and devices like digital tablets allow you to create and achieve amazing effects in your art if and only if you are able to use them fully and properly. Enrolling in Pixel Pintura’s Digital Coloring classes allowed me to further my knowledge in the use of both tablet and software, and the thorough nature with which the classes are held leave you assured that you have the teacher’s undivided attention. The class does not promise that you will emerge from several sessions endowed with the abilities of a pro, but it does equip you with the tools necessary to continue practicing, and to continue to experiment and make mistakes and learn from those mistakes. Sir Joel taught me everything that I know regarding photoshop. I started our class not knowing anything but he guided us and taught us to help us grow as better artists. Taking the pixel pintura workshop is one of the greatest decision one can make. Sir Joel is very inspiring and he shares with his students insights and knowledge that can help them develop their artistic skills. I am very happy and satisfied with everything that I gained after the end of our workshop. If I wasn’t too busy with my work now, I would surely continue taking the next lessons about digital painting in pixel pintura. THANK YOU SO MUCH SIR JOEL! You’re a blessing to your students. 🙂 I hope you continue to help and inspire others to improve. Without the knowledge that you have shared with me, I wouldn’t be able to finish my thesis and I wouldn’t be able to get a job. haha. kaya salamat talaga ng marami sir! Pixel pintura taught me different techniques and shortcuts of Photoshop. Not only the digital and technical side but also the the science or art. I never learned these critically detailed lessons from school. The one-on-one session with Sir Joel really did help me to recognize the areas I need to improve on which I didn’t know I had. It is effective for learning compared to a class or a group, since it focuses only with the student. Skills and knowledge are developed in the whole process also with artistic view on every project. Sir Joel is a real good tutor, the techniques and even the little things he shared on the workshop apply pretty well. Most that were discussed on the sessions were not even taught to us in art school. It takes me quite a while to come up with something and start drawing. But after the workshop, and if ever I had made up my mind to draw something, I found making illustrations easier, and my work more efficient. For some of you who are not really confident with your Photoshop swagger, consider taking up a program in Pixel Pintura, you’ll find yourself surprised by the things you can do. Thanks Sir Joel, and I might consider taking up another program some time this year. I am very satisfied with the amount of knowledge I was able to gather while enrolled in his program. If you’re a beginner, no worries! He will teach you patiently and you will learn more on one lesson than you can imagine. If you have the opportunity to study under him, do so! It will be great for your career to have a strong foundation such as this. For those struggling with their digital painting or absolutely clueless in photoshop, don’t hesitate to make inquiries! Signing up for the Pixel Pintura workshop was the best decision I made this year. I learned a lot of useful drawing and painting techniques that weren’t even taught in school. I highly recommend this workshop if you REALLY improve and learn more about photoshop. Through this workshop, my skills in drawing have increased more. i only learned here most of the techniques and shortcuts in photoshop than in my college school. And now that i’m working, i usually applied it and it really saves much time for me. Thank you so much that this workshop existed. if only i’m given a chance again, i would like to signed up once more! Joining Pixel Pintura Workshops is the best decision you can make out there. For aspiring artists such as myself, learning and enhancing Digital Painting and Photoshop skills from one of the masters was truly a great privilege. Not only does Sir Joel teach the technical aspect of digital painting, he also teaches you a full background on the necessary basics and fundamentals of art. I learn things that i want to learn and he pin point my weakness. Pixel Pintura is well worth the money! Sir Joel is a good teacher and he has helped me answer the many questions I have regarding digital painting and coloring. He doesn’t always spoon feed answers but he will more so guide the student so he can unravel and solve problems for himself. He gives out homeworks that make sense and are grounded in fundamentals. I learned that I had much to study, and that was a good thing. I was reminded that it was fun to learn and practice counts as much as knowledge. My only advice to the students who will take this course: bring a pen and notebook. You will be on information overload! I took Sir Joel’s basic digital colring classes and I think it’s worth it. I learned a lot on my very first class abd the subsequent classes added some more learnings. Just a tip though, if you plan to take his classes I suggest you make sure that you have some basic drawing skills first (he mentioned this in his site). After taking his classes I plan to go back to the basics just so I can use what he taught me in a better way. Thanks sir!